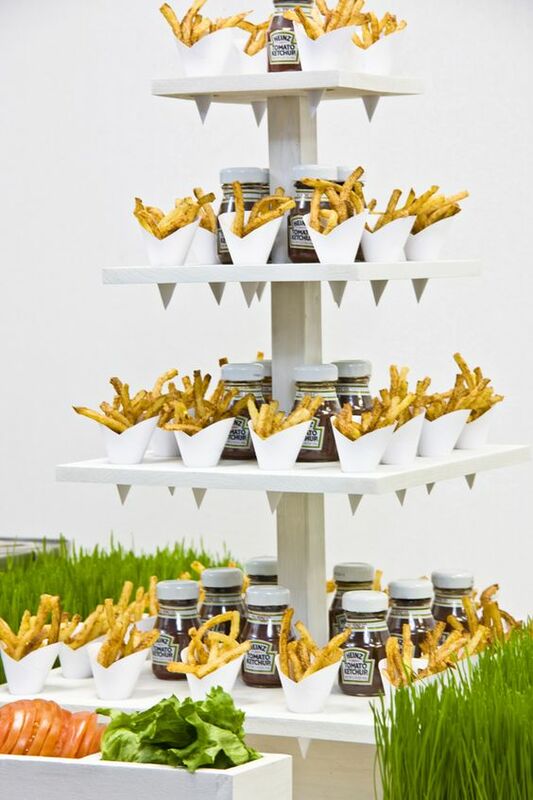 Are you vegans tying the knot? 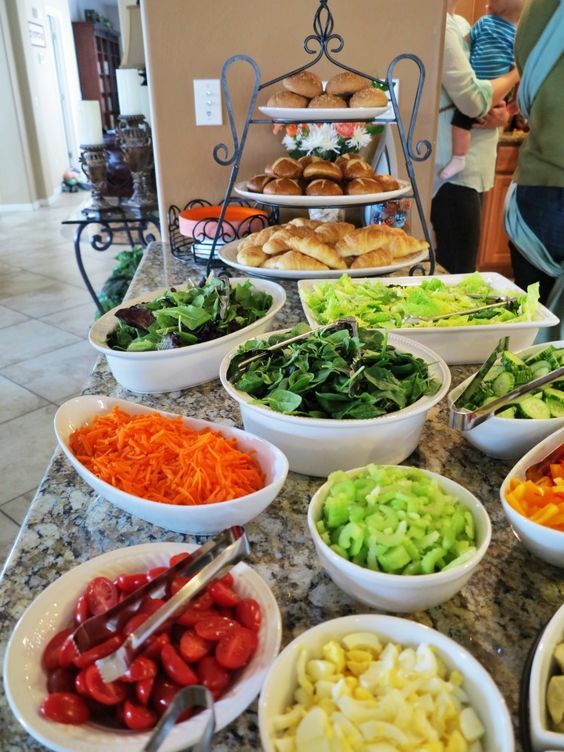 then you may be puzzling over how to feed your guests with vegan food that they will really love (and maybe decide to go vegan, too!). 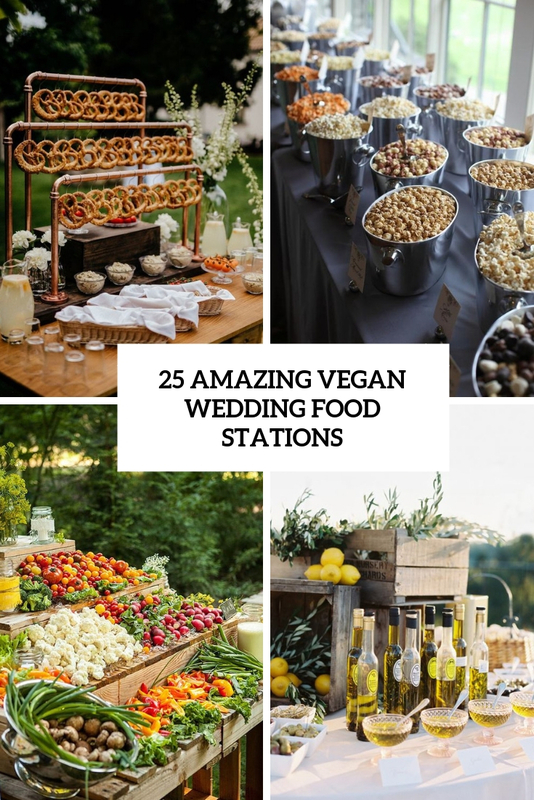 We continue sharing the coolest food ideas for a vegan wedding, and you may already read about vegan wedding cakes, vegan wedding appetizers, menus and today I’d like to share some food bars that are perfect for a vegan wedding. 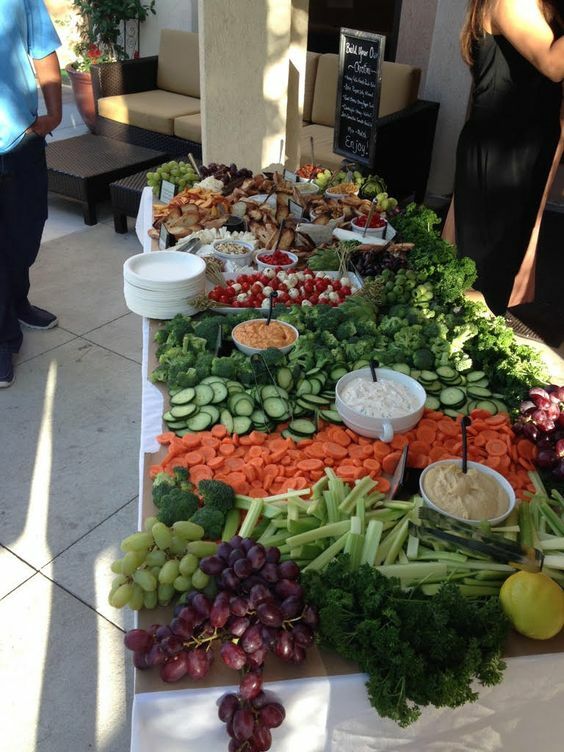 A salad bar is the most evident and proper wedding food station for vegans. 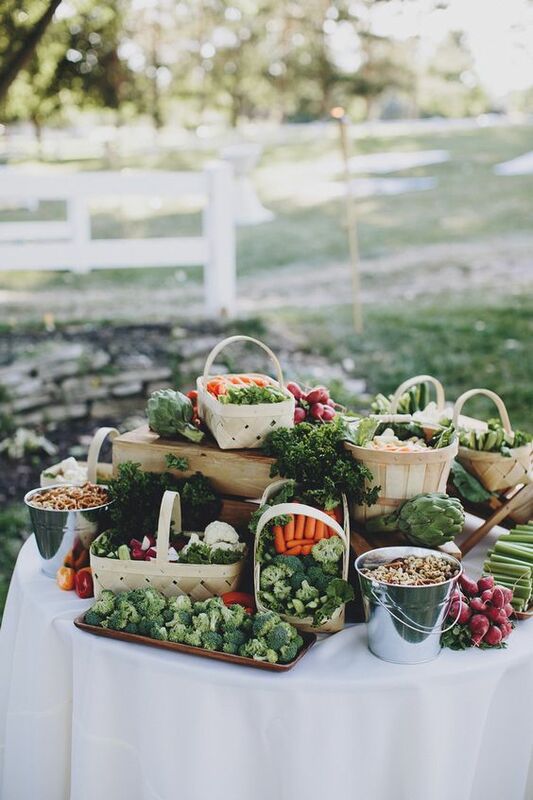 Serve as many fresh veggies and fruits as you want considering the style of your wedding: if it’s a rustic wedding, go for baskets and wooden baskets as containers, you may also try buckets, if you want a farm feeling, go for a wooden stand with lots of veggies, a modern wedding can fit usual bowls. 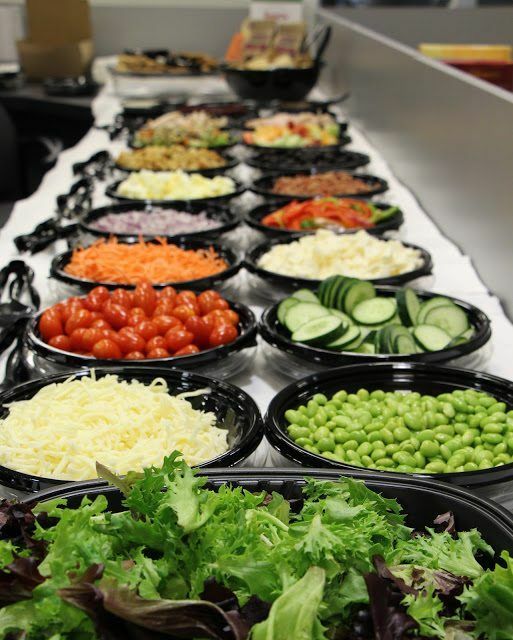 add various kinds of dressings and voila! 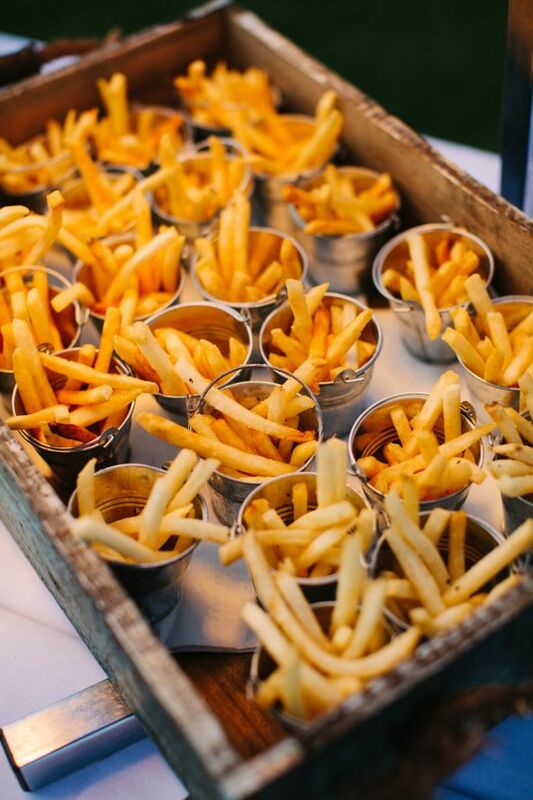 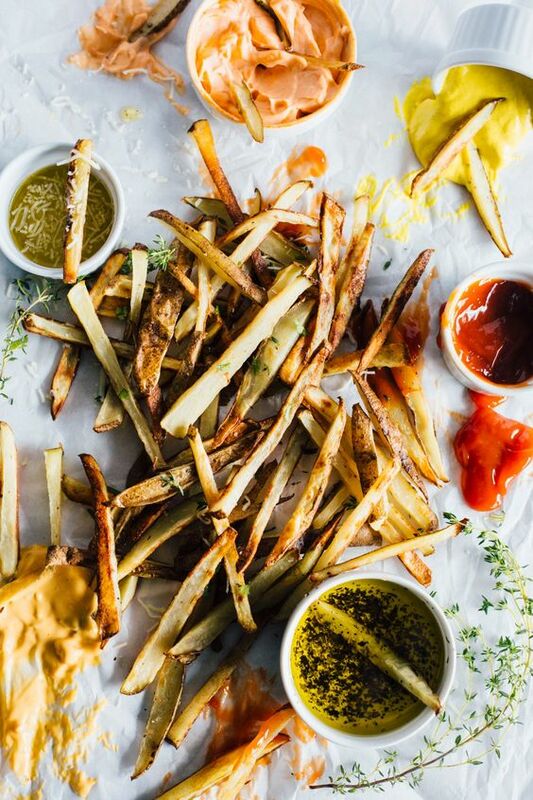 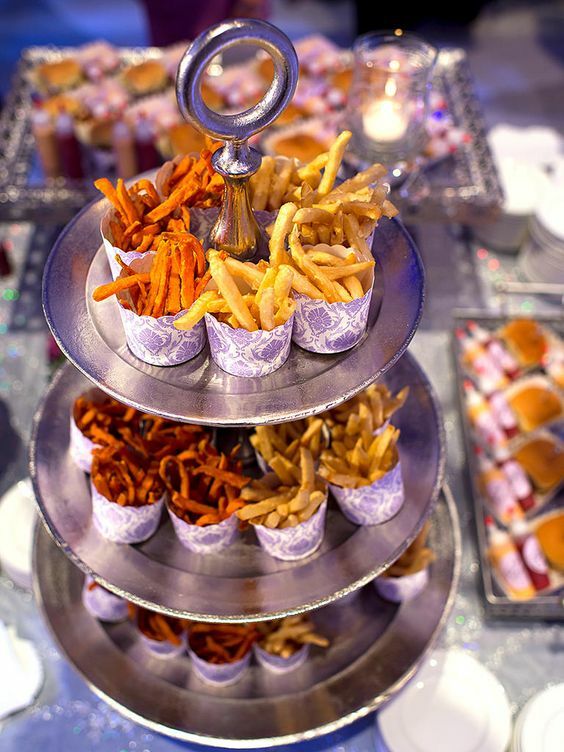 A French fry bar is always a good idea, not only for a vegan wedding. 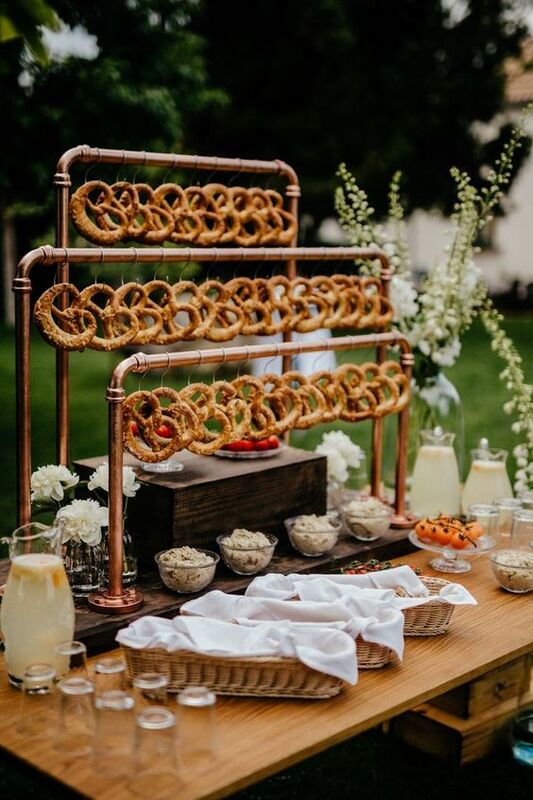 put them on stands in cones or place them in metal tubs and buckets, add ketchup, dressings, and here you are – a cool bar is done! 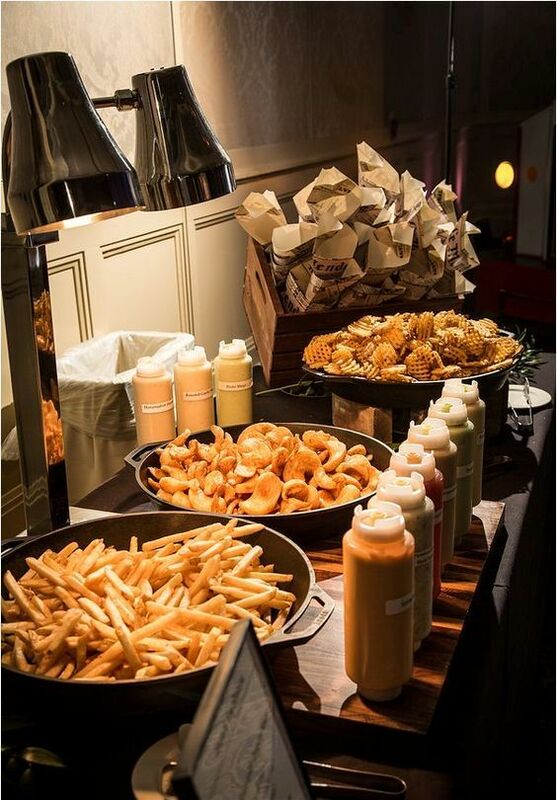 A French fry bar may include veggies and waffles. 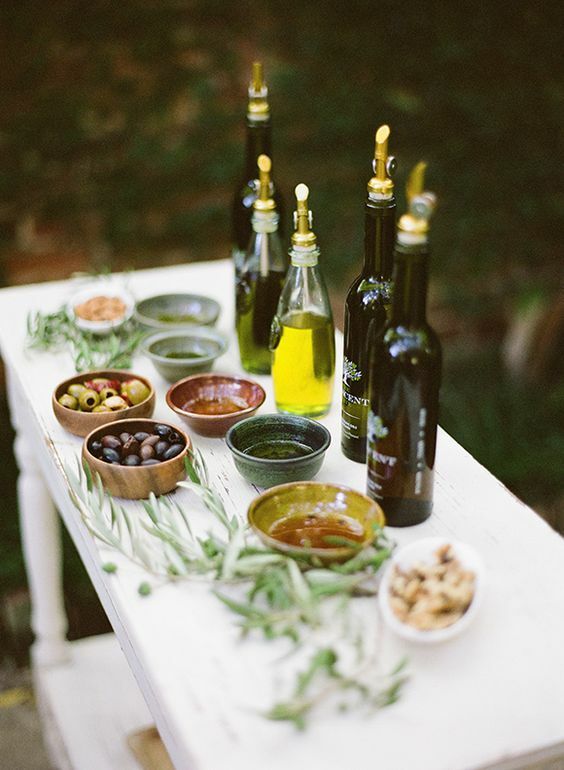 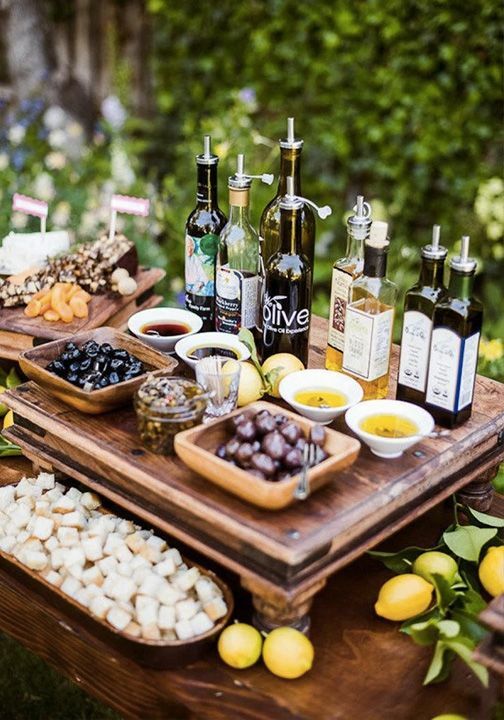 An olive oil bar is a popular idea, which will be especially cool for a Mediterranean wedding. 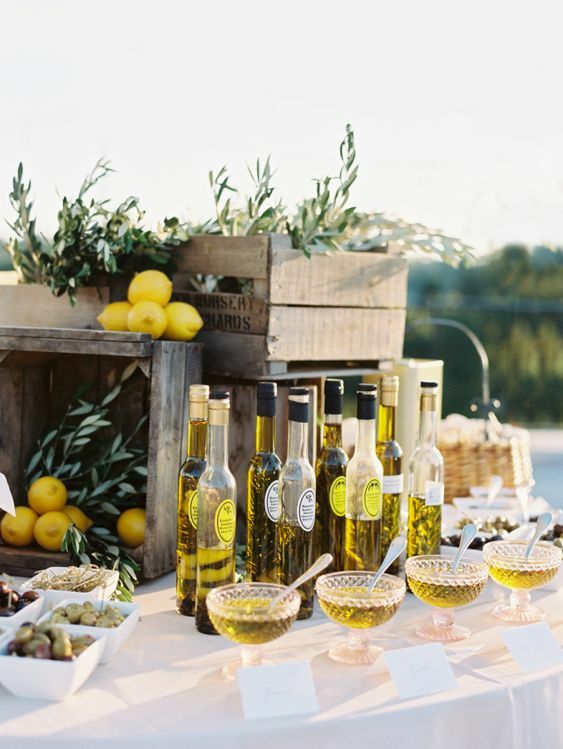 You’ll need various types of olive oil, olives, herbs and greenery, nuts and breads – let your guests try the best types of olive oil! 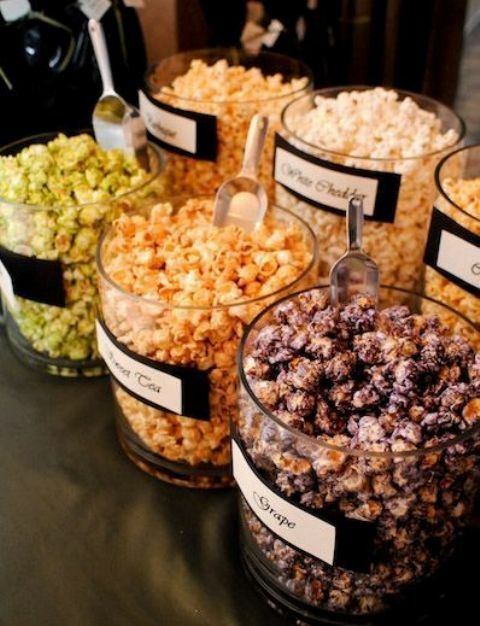 This is a very healthy idea, enjoy! 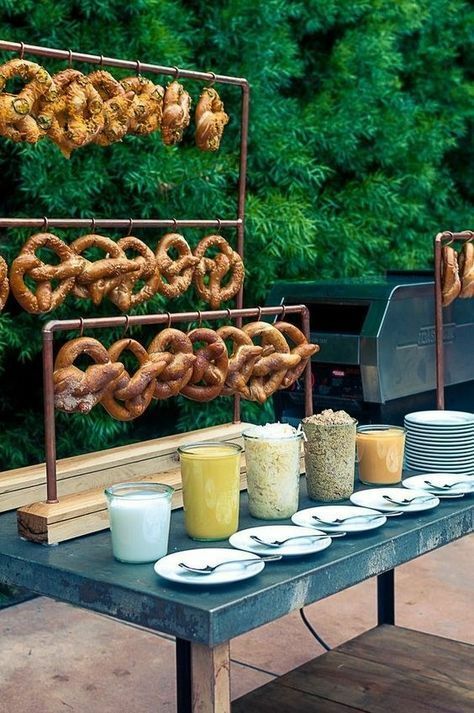 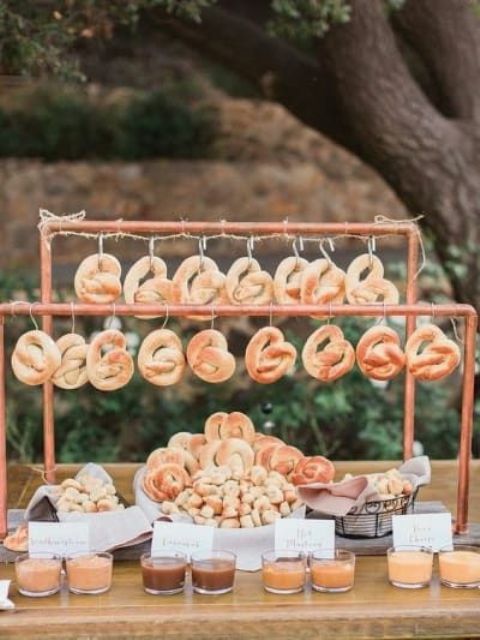 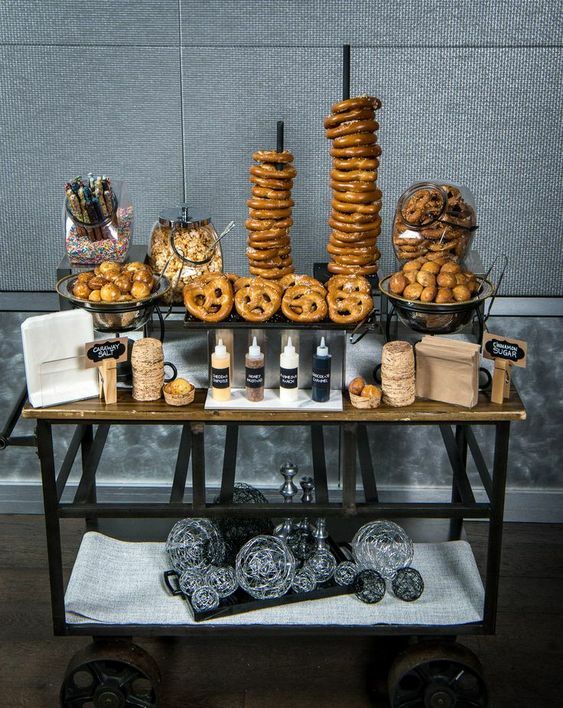 A soft pretzel station is a very trendy food bar idea, you’ll need a cool stand and some hooks to hang the pretzels. 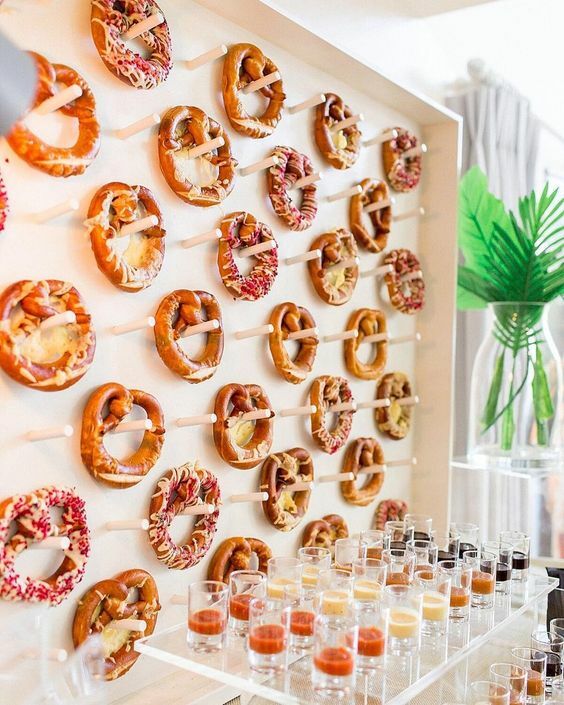 You may also go for a pretzel wall, which is even hotter than a stand. 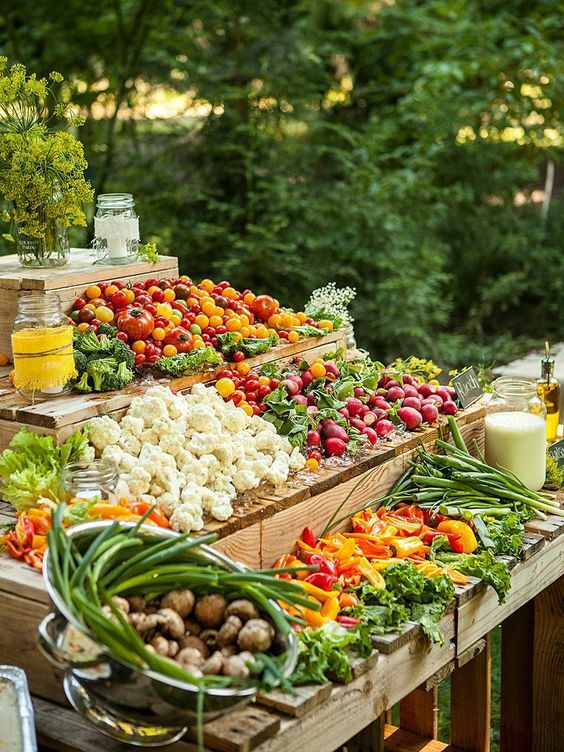 Add various kinds of dips, sweet and savory, veggies and anything else you want. 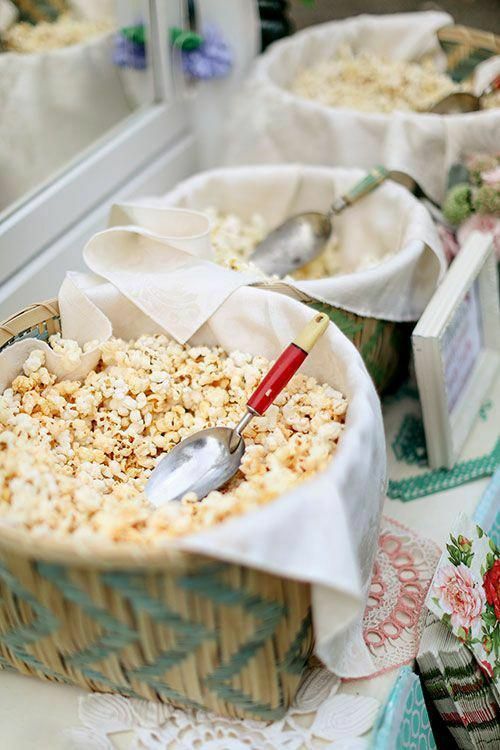 Popcorn will never go out of style, it’s delicious and loved by everyone. 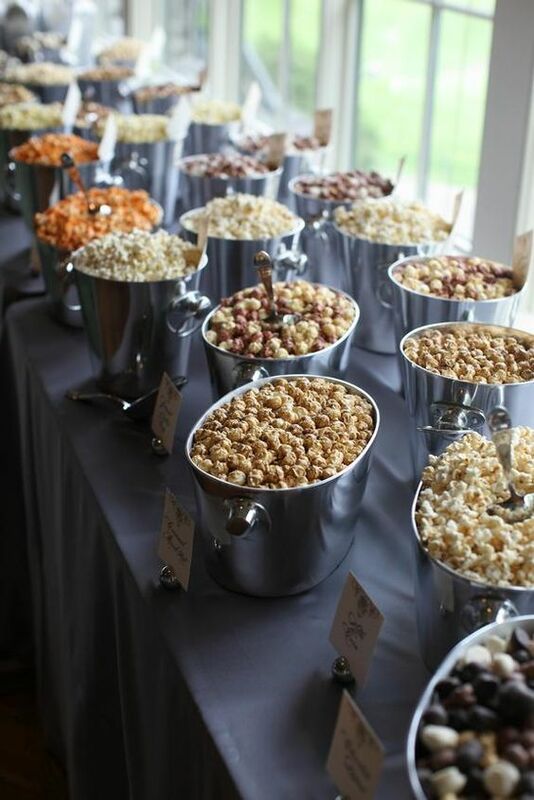 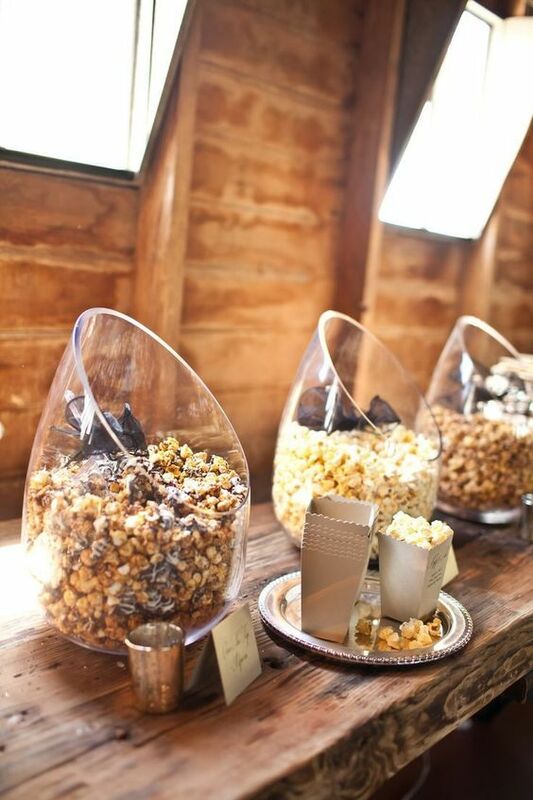 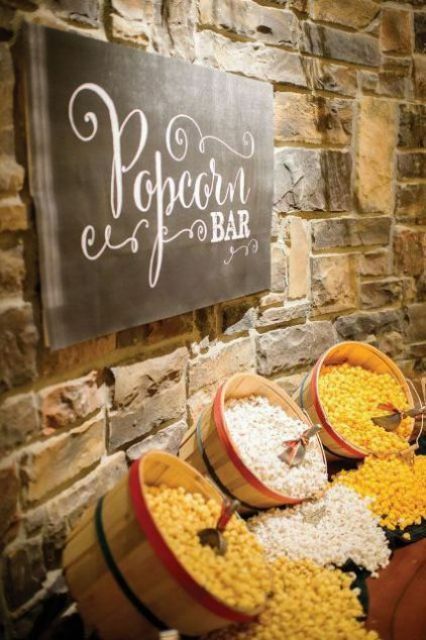 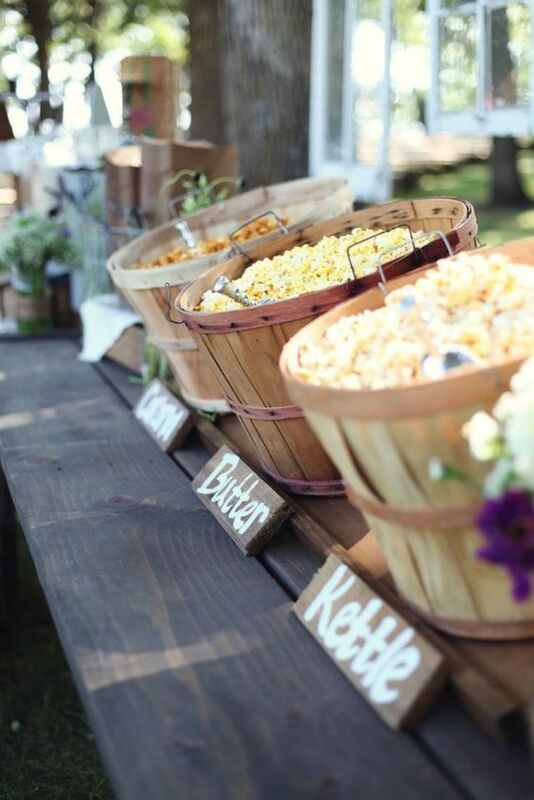 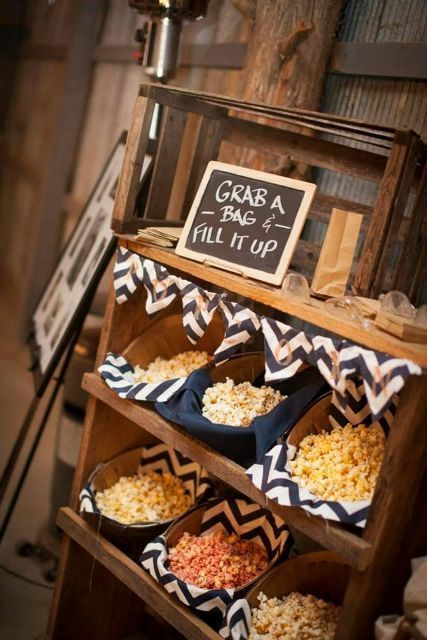 a popcorn bar will fit both a vegan and a usual wedding, and you may serve your popcorn in buckets, wooden baskets and stylish glass jars.